As the weather gets colder the colors are getting warmer. Hunter green is a favorite of mine as it is a color meant for cooler months but evokes softness. Gray is a favorite staple of mine and the two paired together is just delightful as ever. The richness of the green and softness of the gray balance each other out to make a beautiful pallet for a winter wedding. Add lush winter white flowers and you have a beautiful color story. 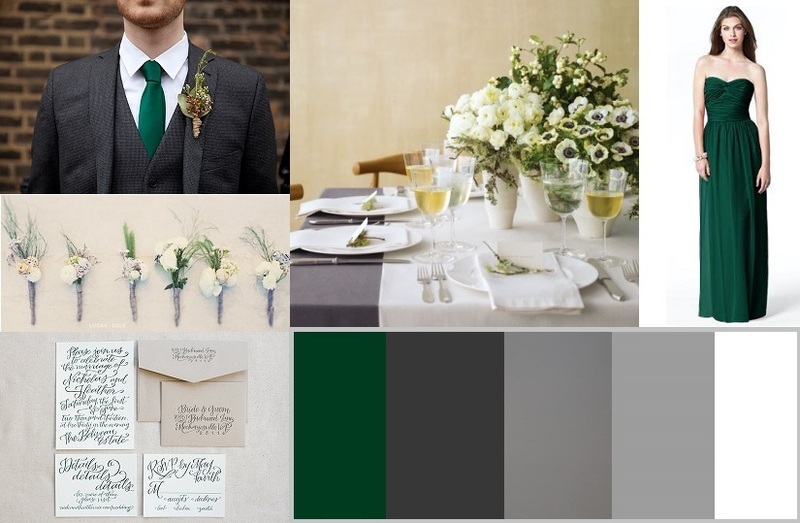 Here is a Wedding Inspiration board with hunter green, shades of gray and white details.